The opportunity requires sizable money up front. This is ALWAYS a red flag. If you have to pay money up front before you actually receive ANY capital, then buyer beware! If you owe money up front in the form of a “finder fee,” a “funding fee,” a “service fee,” etc…then you’re at risk of being involved with a Vulture Capitalist. If you’re using a service to get capital, taking a loan, etc…then any cost associated with such service should only come AFTER you receive funds. Of course there are exceptions to this, however, with Vulture Capital you pay upfront and the funding never comes through. On the backend you hear a variety of excuses designed to keep you salivating at the hope of receiving funds. Loans: The numbers just don’t add up. By all means capital opportunities such as business loans will have costs associated with them, makes sense as it’s how the lender makes money. However, if the lender charges you a percentage on the money you borrow, then any fees associated with getting the loan should be reasonable. Would you take a loan out on your home for $100,000 just to receive $20,000? 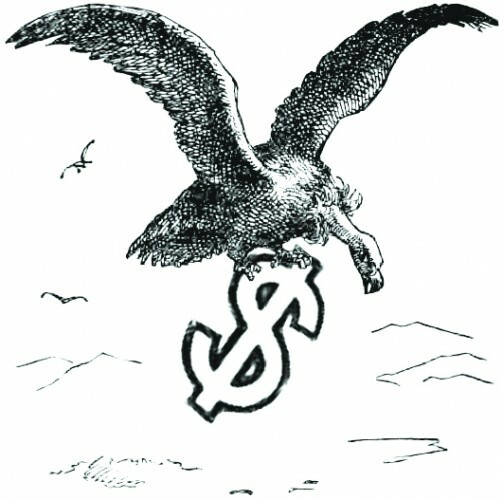 If the fees associated with a loan opportunity are extravagant then it is most likely Vulture Capital. Know the people behind the money. If the “brokers” offering to connect you to big money formed their company yesterday…beware. If the “brokers” promising high returns have a history of being involved in phony MLMs and “get-rich-quick” schemes…beware. If the principals of the “broker” company have rap sheets involving fraud and scams…beware. If the broker refuses to provide you with information regarding the funding sources…beware. Trust us, some deals are too good to be true and the people behind them KNOW. Yes, some fraudsters utilize unwitting participants to promote the scam, but the trail always leads back to dirt. The “opportunity” has no actual interest in your business. If the opportunity never asks about your business or asks to see a business plan, then good chance it’s Vulture Capital. If you’re receiving money for your business then the entity or individuals involved should have some sort of vested interest in knowing how you’re going to pay it back. Conventional methods include giving up shares of your company, sharing a business plan or outlining your revenue model, etc. If these types of conversations aren’t taking place, good chance it’s Vulture Capital. The promise of a big pay out. This one always screams red flag. It can also fall into the category of “get rich quick” schemes. These types of Vulture Capitalists promise to take a small bit of the money you’ve already saved/raised (usually they take all of it) with the promise of placing it into another investment, opportunity or system that “guarantees” to double, triple or quadruple your money. This is essentially gambling where the house odds are 100% in favor of the Vulture Capitalist. You don’t actually have a business yet. This one is a harsh reality, however we see too many entrepreneurs go after the money before they have a viable business. The thought is “if I have money, then I’ll be able to figure out how to make more.” This is like blood in the water to a Vulture Capitalist. If you plan on using the capital you receive to live off of and can only pay it back by using the same funds, then you may want to reconsider taking any money in the first place. Nothing kills an entrepreneur’s dream faster than going out of sequence and putting the money first and the business second. As you continue to move forward and build your business don’t lose sight of the forest for the trees. Do your due diligence and know the risk involved BEFORE you sign any VC agreement.